Rebellious Couple Ally and Marc are a tough pair, indeed. And we mean that in an admiring way. 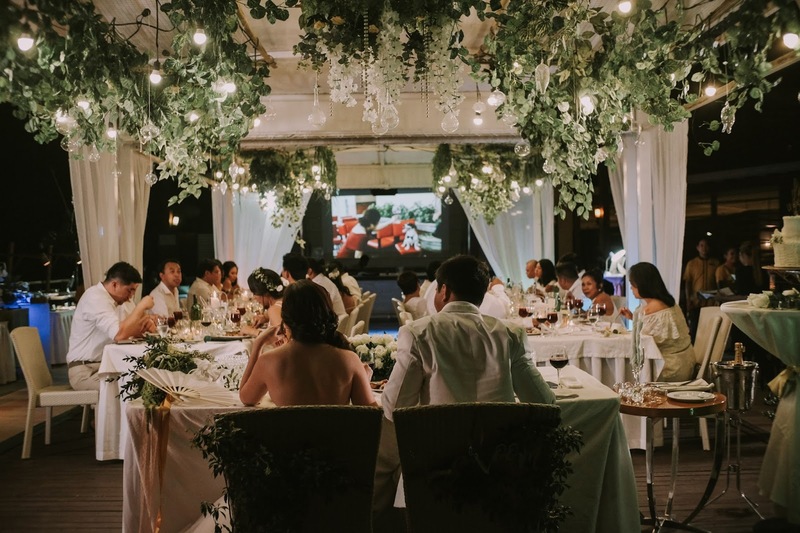 To be able to pull off not just an intimate wedding with only 35 guests AND to make it into an "adults-only" affair takes a whole lot of guts. And we mean A LOT of guts. Because there are moms that are sensitive to these kinds of things (ie. there's moms who are particular about kid-friendly places and events, and don't like their kids being left out). So we truly are amazed at how "courageous" Ally and Marc are. Ally is like a guest blogger today because she wrote an amazing article on their wedding already. So we'll let her tell their story in her own words. Enjoy! Our wedding theme is Romantic Minimalist and reflective of our style and way of life. We used an all-white color theme with matte gold accents and used greenery for good measure. 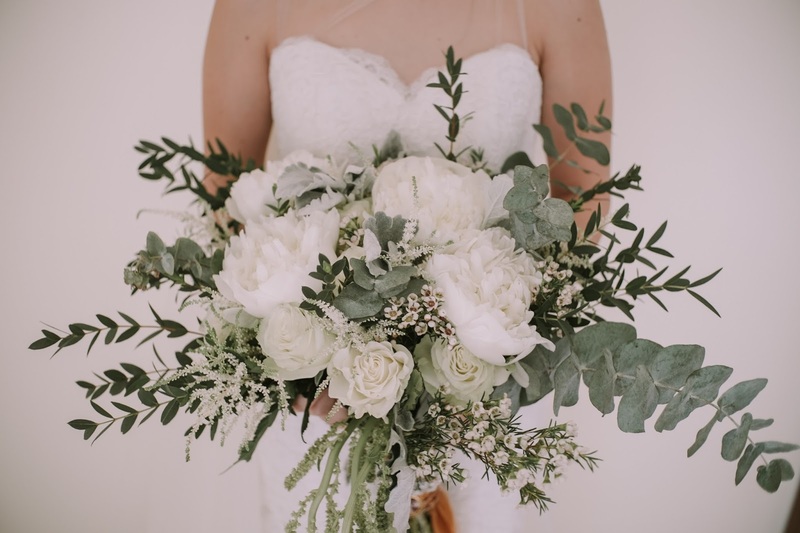 While Pinterest made it hard for us to stick with the theme, we still did and luckily so -- because look at the photos! The overall look was fresh, elegant, and uncomplicated. 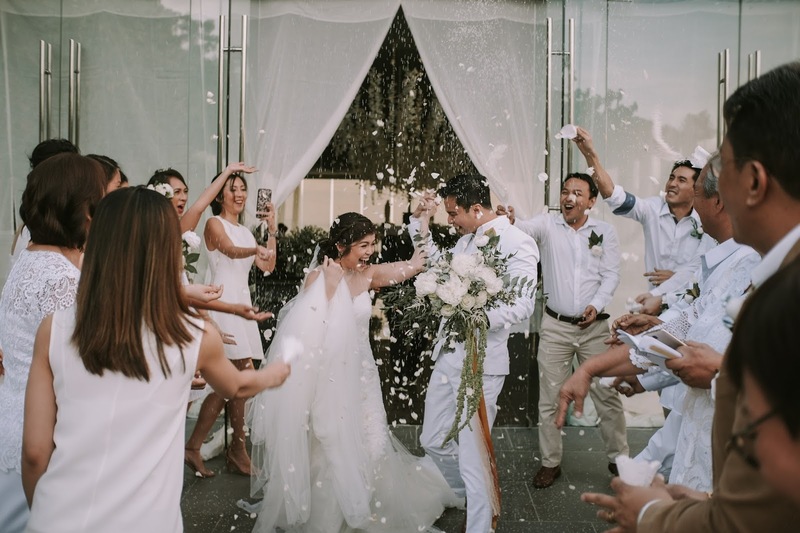 We had a 35 adults-only guest list, comprising of our closest family and friends (yes we consider ourselves as rebels for executing this VERY hard decision!). The ceremony was solemn and sincere. The reception was intimate but meaningful. 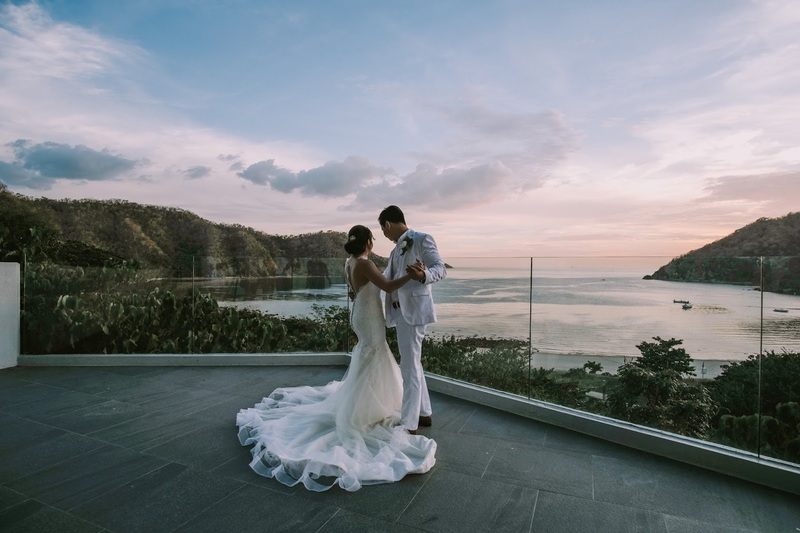 It wasn't easy planning and executing this wedding, but it turned out to be our kind of perfect. My husband and I have always valued things that matter, not just “things”. We’ve always had a minimalist mindset. Don’t get me wrong – we want and we get nice things. But we only gravitate toward things that contribute value to our personal lives. 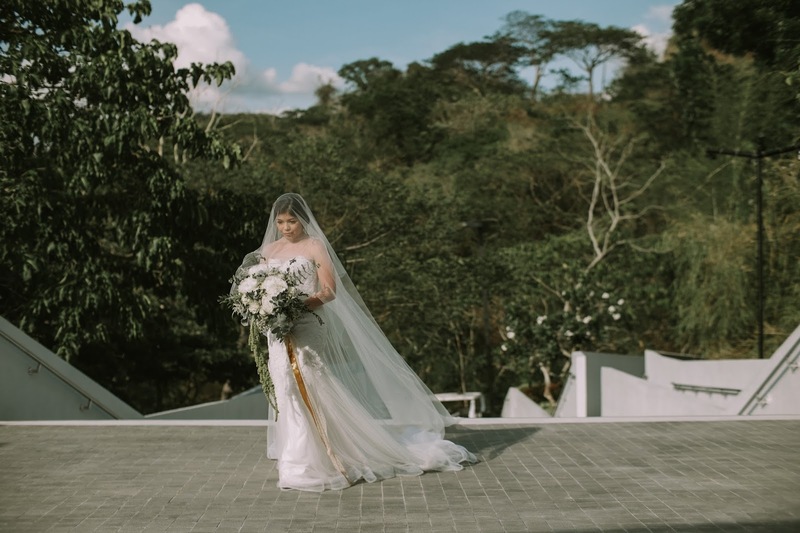 And so, our idea of a perfect wedding would be one that is focused on celebrating our love with the other loves of our lives. 3) If you are a perfectionist (like me), you will still be able to manage dealing with details effectively. More importantly, we savored every moment of that beautiful day because we pursued quality time and distractions were kept at the minimum. 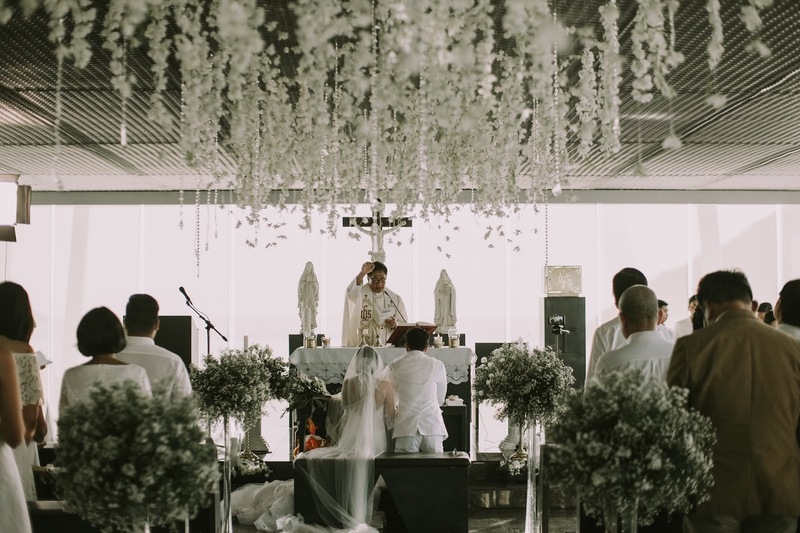 Our guests fully witnessed our solemn vows. During the reception, our time with the guests were meaningful as we conversed, laughed, and cried with them. Really, it was our kind of perfect. Admittedly, it wasn’t easy. On hindsight, the reason why we pulled through was because we decided TOGETHER. We made a conscious effort to stand by our decision and each other through it all. Once we established a wedding philosophy, everything else followed. 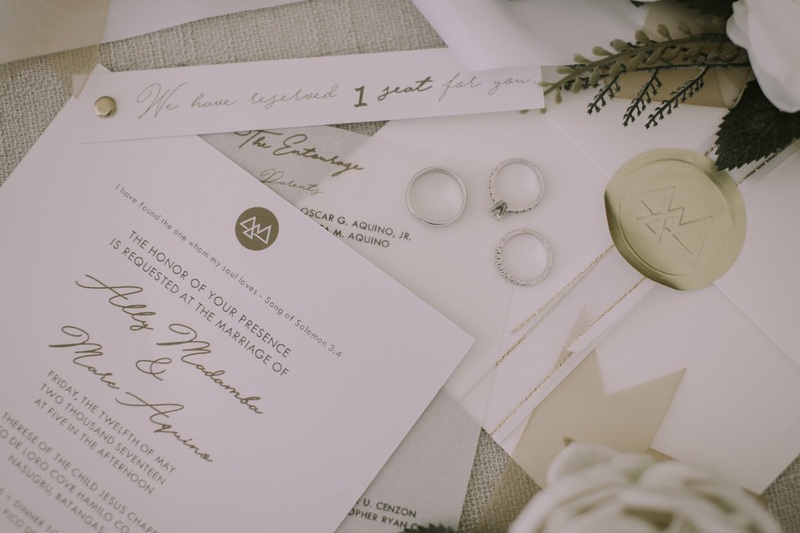 All couples should have a say into planning their wedding guest list (it is their wedding after all!). They shouldn’t be obligated to please anyone in the process but themselves. 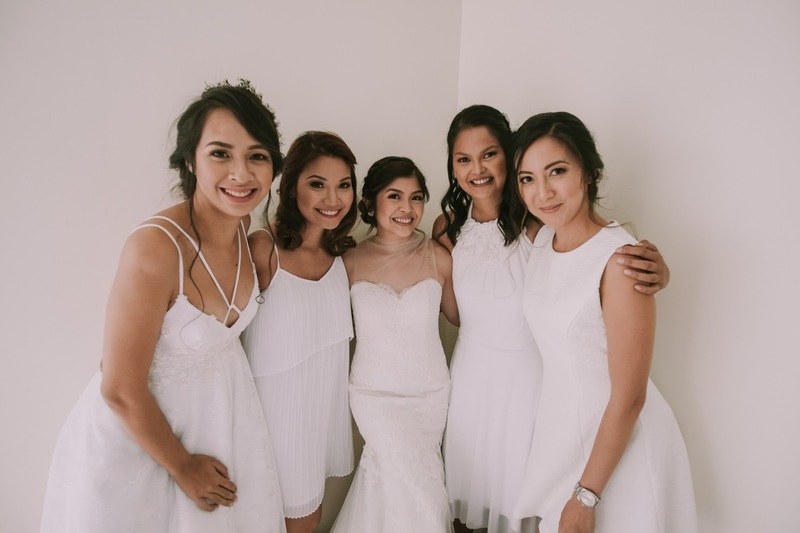 If relatives are contributing to the wedding budget, it might help if boundaries (max # of guests) are set early on and an exception should never be made – even if it means upsetting someone (unintentionally, of course). Besides, a relationship is only worth keeping if understanding and encouragement prevail over upset feelings. Congratulations Ally and Marc! You guys are good at making tough decisions together, and we hope that you continue that kind of teamwork in the years you have ahead as a married couple.